So here we are guys! 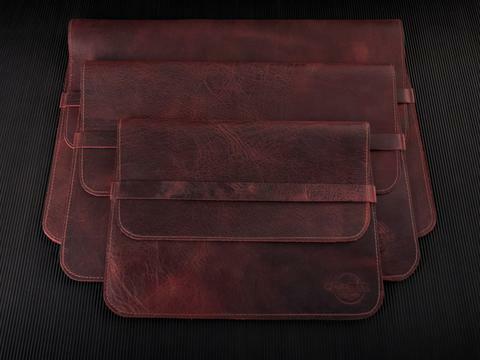 We designed, RAW, a leather sleeve specially for MacBooks and iPads. 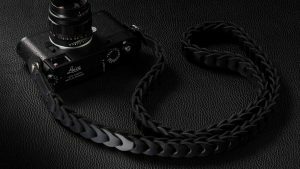 Made from the same premium thick waxed leather (pull up leather) we use in our special edition camera straps. 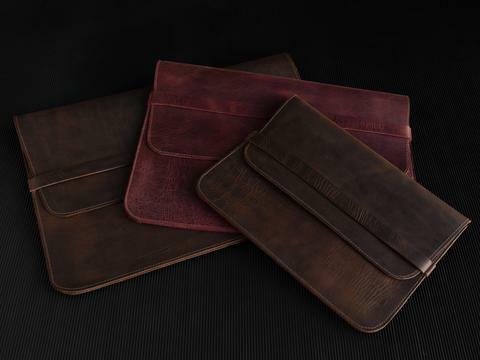 Our RAW MacBook and iPad sleeves have that RAW, vintage saddle look. 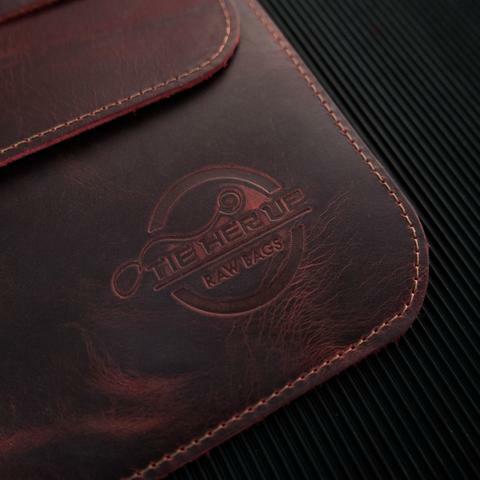 The leather is quite thick and durable so there is no need for inner padding. 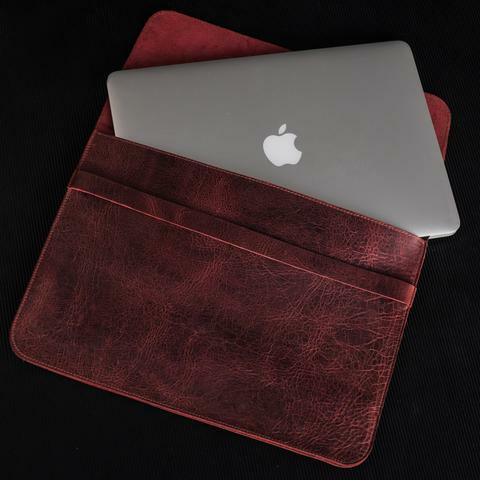 They will protect your MacBooks and your iPads in the best way, from hits and scratches with their unique style and elegance. 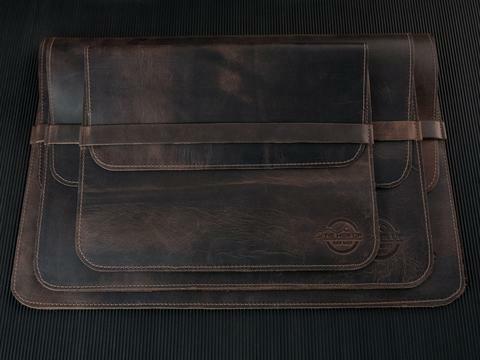 It will get amazingly better looking after one or two weeks of use! 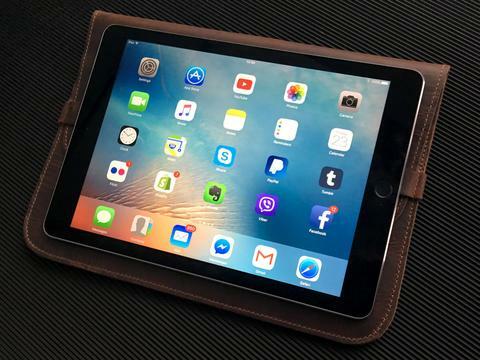 Suitable for all MacBook, MacBook Air, MacBook Pro , iPad and iPad Pro models. 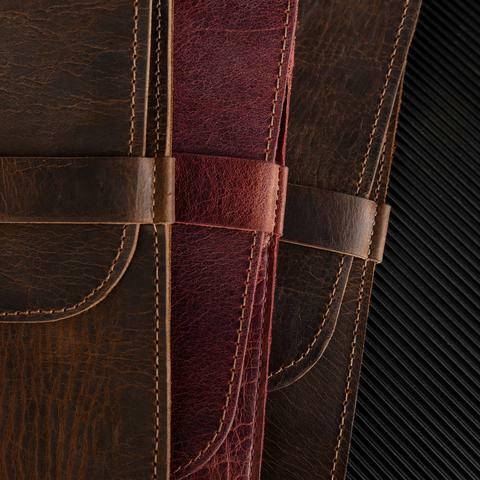 We make them in two colours, Cigar Brown Waxed Leather and Royal Red Waxed Leather. 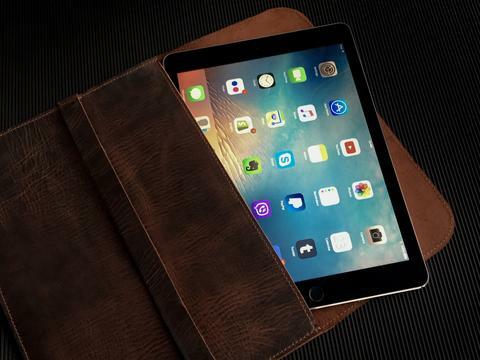 They come in superb packaging making them the perfect gift. 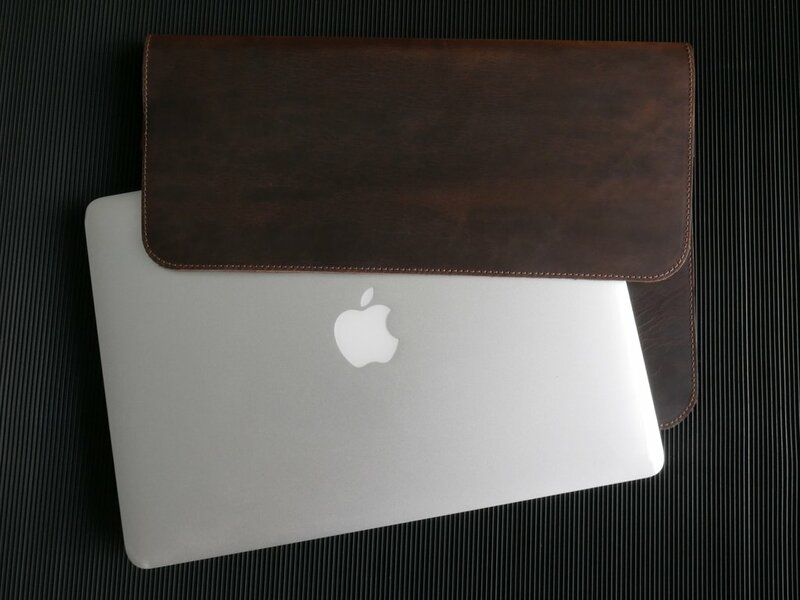 the sleeve as it is is functional and protecting my MacBook very well. 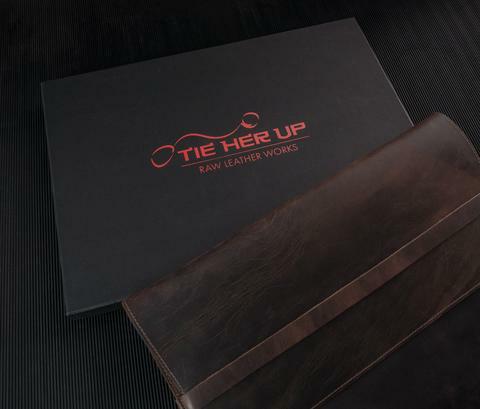 the leather is very stiff and thick – so there is almost no chance for scratches. 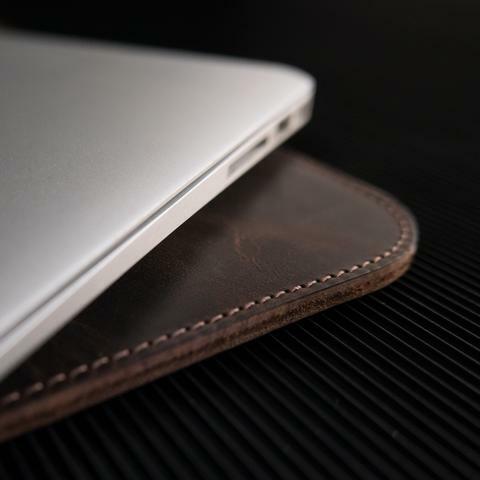 Dear Andreas, we are very glad you like all the products you purchased from us (pouches, strap and Mac Book sleeve) and for the nice comments you made. 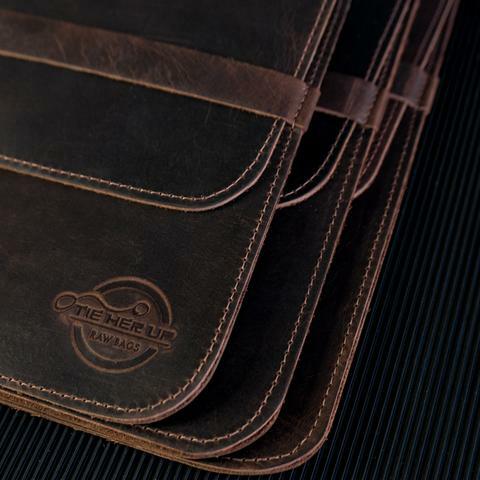 If you don’t like the colour of the Mac Book sleeve you can send it back and we can send you another one.